Rear-end collisions are one of the most common types of auto accidents in the country, and a leading cause of accidental injuries. In fact, according to the National Highway Traffic Safety Board (NTHSB), of the more than six million auto accidents that occur every year, an overwhelming 40 percent—or nearly 2.5 million—are the result of a rear-end crash. These injuries are costing Americans millions of dollars in medical fees, rehabilitation, and lost wages every year. To prevent and mitigate rear-end crashes, the NTHSB has been advocating the use of Forward Collision Avoidance Systems for years; these systems enable a vehicle to automatically brake without driver action if a crash is imminent. Thankfully, big automobile manufacturers are finally getting the message, offering affordable vehicles equipped with the technology. Of course, even with this technology, accidents can still happen. The specific injuries you could experience as a result of a rear-end collision can vary based on a number of factors, but here are the five most common rear-ed collision injuries. It's probably no surprise that whiplash is one of the most commonly-cited injuries arising from a rear-end collision. 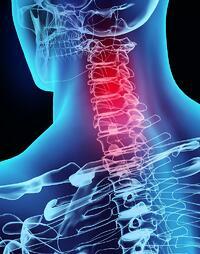 Caused by a violent, sudden movement of the neck and head, whiplash can cause serious soft tissue damage. 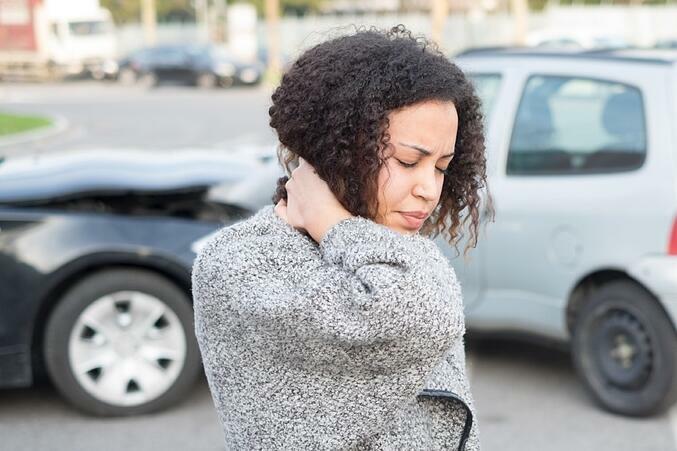 The extent of whiplash injuries varies from case to case. Some spinal injuries demand more intensive medical treatment than others, such as when the victim isn't able to brace for impact; when caught off-guard, the muscles are left in a relaxed state rather than a contracted one, which allows the head, neck, and back to move more violently. This increases the likelihood of sustaining a serious injury. One of the greatest dangers of a rear-end whiplash injury is that it isn’t always immediately noticeable. It could take days or weeks for the full symptoms of the injury to become apparent. Despite today's modern crash safety equipment, broken bones can still happen when the collision is violent enough. The silver lining: unike soft-tissue injuries, most breaks are easily identifiabe which enables victims to get the medical treatment (and documentation) they need immediately. The exception to this rule is fractures to the skull, as these can indicate another problem: traumatic brain injury, or TBI. 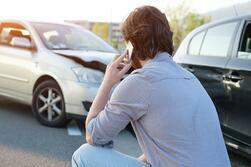 The NHTSA also reports that 1.7 million people sustain a TBI annually. Among all age groups, motor vehicle-traffic was the second leading cause of TBI (17 percent) and resulted in the largest percentage of TBI-related deaths. Like whiplash, the initial warning signs of traumatic brain injury may not be readily apparent, and it could take days or weeks for the full effects of the injury to fully manifest. Unfortunately, traumatic brain injury can be incredibly difficult to treat, and some injuries may result in permanent impairments and even death. In rear-end crashes, occupants can be violently thrown against their restraints. Sometimes, rather than hitting an airbag or being held in place by the seatbelt, an occupant could hit a dashboard or headrest in a manner that leaves them with permanent scarring or disfigurements. Here, quality of safety measures and immediacy of treatment can be decisive factors in preventing or minimizing scarring. When a spine or brain injury is severe enough, it can leave you partially or completely paralyzed. There are many factors that can affect the degree of paralysis, such as which spinal discs or portions of the brain are injured and the severity of the injury. If you’ve been involved in a rear-end collision and have sustained an injury, contact the emergency medical service immediately; the timeliness of your treatment can make a big difference in your recovery process. After you’ve taken care of your health needs and the needs of any other occupants in your vehicle, contact an experienced auto accident attorney. A lot can happen in the aftermath of a severe rear-end collision: astonomical medical bills, adjusted insurance rates, lost time and wages due to inability to work, and the list goes on. This can add up to serious financial trouble over something that may have been completely out of your control; after all, there is often very little—if anything—that a rear-ended victim could have done to prevent the accident or physically prepare themselves for serious impact. You shouldn't have to endure a financial emergency due to the recklessness of others. Contact a seasoned attorney in your community to represent you, and earn you the compensation you deserve for injuries, property damage and treatment associated with rear-end collisions.